Vitória guest house price per day from € 45 Featuring free WiFi and a barbecue, Vitória Guest house offers accommodation in Lagos, 900 metres from Meia Praia Beach Lagos. The nearest airport is Faro Airport, 63 km from the property..
Apartamentos Marreiros Neto Apartamentos Marreiros Neto is located in the Lagos centre, 500 metres from the Marina. Guests may cook their own meals in the kitchenettes, enjoying them in the dining area. 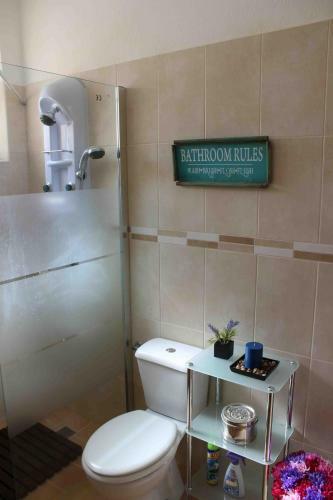 Lagos City Center guest house & Hostel price per day from € 21 Lagos City Center Guest House & Hostel is located in Lagos and features free WiFi. There is also the option of booking a full apartment. Merry's House price per day from € 50 Located 600 metres from Lagos’ old town, Merry’s House offers air-conditioned rooms in a renovated building. 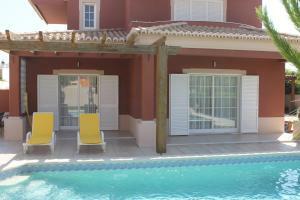 It features a furnished terrace where guests can enjoy meals and enjoy the Algarve sun. A breakfast buffet is served daily and Merry’s House central location allows guests to find restaurants within walking distance. 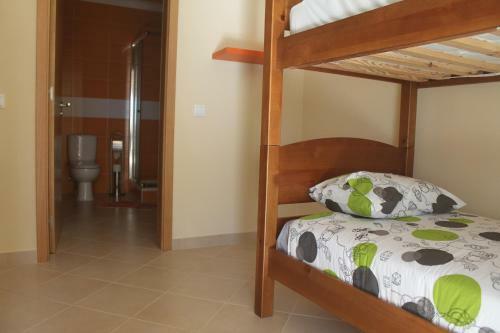 Apartamento Santo Amaro price per day from € 39 Apartamento Santo Amaro is a recently renovated one-bedroom apartment in Lagos, a 10-minute walk from Lagos Marina. This apartment features a furnished balcony overlooking the Atlantic Sea and Lagos’ walls. The dining area with a 4-seater dining table opens to the furnished balcony..
1908 Farmhouse Located in the countryside, 2 km away from the centre of Lagos, 1908 Farmhouse offers peace and tranquillity and contact with farm animals. Besides the fully equipped kitchen, guests can also use the barbecue facilities outdoors to prepare their own meals. Guests can enjoy boat tours and discover the grottoes of the Algarve coast or engage in water sports activities in Lagos..
Quinta da Atalaia Located in the exclusive area of Atalaia, this new luxury property is set on the small condominium of Quinta da Atalaia and offers access to an outdoor swimming pool. The large open space living room includes sofas, a flat-screen satellite TV, a DVD player, a dining area, opens to the pool area and is connected to the kitchen. 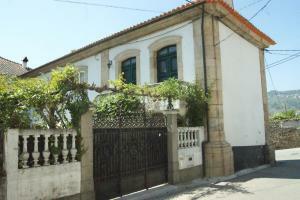 Casas do Pomar Casas do Pomar is located in Lagos, 7 km from the centre. 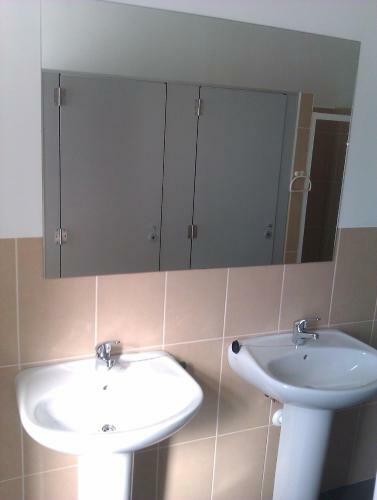 The unit comes with an equipped kitchen, private bathroom and a dining area. Alternatively, the nearby Lagos centre has several restaurants, most serving the Algarve’s fish and seafood delicacies..
Quinta Da Ameijeira price per day from € 46 Situated in Lagos, the Quinta Da Ameijeira is 1 km from the Atlantic Coast. 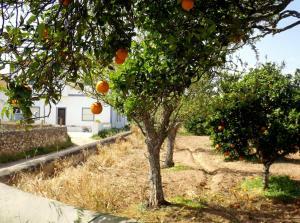 It is surrounded by gardens and offers self-catering villas with balconies and free private parking. They include a living area with a TV, sofa and stone fireplace. Guests can make use of the pool at Marsol, which is located next to the Quinta da Ameijeira..
Casa S.Sebastiao Sebastiao is located in the historical centre of Lagos. 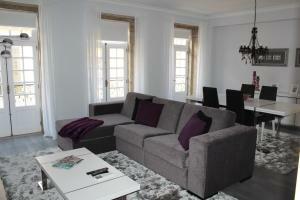 With capacity for 6 persons, the house is a 5-minute walk from the beach and a 10-minute walk from the Marina. It is possible to accommodate 2 extra single beds in a separate room. 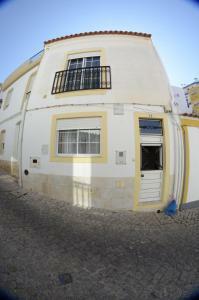 Blue Moon Hostel Set in Lagos, in the Algarve, this hostel in centrally located in the city. Guests are welcome to use the communal kitchen to prepare their meals. There are several local restaurants within 200 metres from the hostel, most serving the region’s typical fish and seafood dishes..
Angela guest house price per day from € 35 Angela Guest House provides cozy accommodation just a 3-minute drive from the local beaches. Breakfast is served each morning in the guest house and is carefully made by the proprietor. 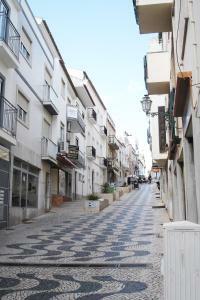 The Algarve region is famed for its traditional grilled fish dishes..
White Sun Hostel price per day from € 13 Situated in the centre of Lagos, White Sun Hostel is a 7-minute walk from the Bus Station and a 12-minute walk from the Train Station. There is a shared lounge with access to a spacious terrace where guests can enjoy the sunset. Casa Dos Cedros Featuring an outdoor pool with sun loungers and parasols, Casa Dos Cedros is located in Lagos. With a furnished balcony, the air-conditioned rooms come with a flat-screen TV. Guests can taste local specialities, as well as classic Portuguese cuisine at the cafes and restaurants within a radius of 300 metres..
Ponta da Piedade, Lagos, 0.6 km from the centre of town of Lagos. Golf club Palmares (Praia & Lagos), 4.3 km from the centre of town of Lagos. Golf club Penina (Championship), 10.6 km from the centre of town of Lagos. Golf club Morgado, 14.6 km from the centre of town of Lagos. Golf club Vale da Pinta, 17.7 km from the centre of town of Lagos. Golf club Oceanico (O'Connor), 27.6 km from the centre of town of Lagos. Golf club Oceanico (Faldo), 28.1 km from the centre of town of Lagos.